"A very mixed bag at the midseason finale"
Each of those problems was highlighted during "Hearts Still Beating," and while there were a few rays of hope that perhaps the second half of the season might offer more cohesive storytelling and a more complex character in Negan, I'm not holding out a ton of hope on that front. 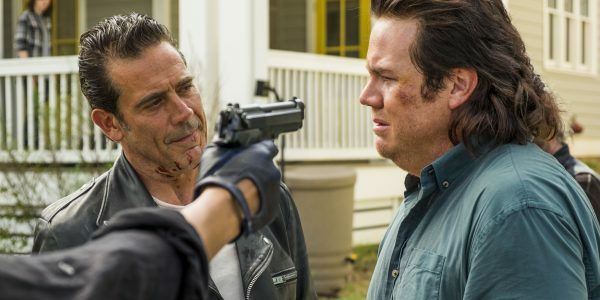 [caption id="attachment_91570" align="aligncenter" width="600"] Josh McDermitt as Dr. Eugene Porter, Jeffrey Dean Morgan as Negan - The Walking Dead Photo Credit: Gene Page/AMC[/caption] Let's tackle the good first: Negan might actually be a better villain that this season has shown him to be. When the man isn't sexually harassing random women or extolling his many masculine virtues like an 8th grader trying to impress his friends, Negan actually appears to have a moral compass of sorts. Sure, it's a pretty messed up moral compass, but I can't fault him for knocking off Spencer for that coup attempt. Everything he said to Spencer in that speech rang true. Why would Negan want to install a new leader in Alexandria when he has already broken Rick? And putting a guy in charge who isn't tough enough to stand up to Rick and take the position would fly in the face of all that Negan espouses. He wants people who understand his apparent power and are willing fight until broken. It may be strange, but we know Negan appreciates strength. It's why he doesn't kill Rosita when he has the chance. In Negan's world, the strong survive because it's better to break them and bend them to your will then to simply remove them. However, that particular strategy also means that if you don't sufficiently break them, the strong have the ability to mount a pretty serious resistance against you, as it about to happen, I'm alright with Negan following this flawed theory as it actually gives us some insight into his character. And that's something we still woefully need. 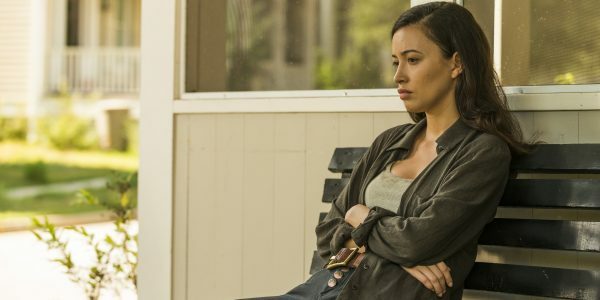 [caption id="attachment_91563" align="aligncenter" width="600"] Christian Serratos as Rosita Espinosa - The Walking Dead Photo Credit: Gene Page/AMC[/caption] It's a bit amazing to me that we have made it this far into the Negan arc without being given much insight into him as a person behind the gregarious (and so often annoying) character. His insight into the type of person he wants in charge of Alexandria (and how he responds to threats on his life) is telling in its own way, but we need much more than that to make this character someone we should actually care about. I did see, for the first time, what makes Negan scary in his response to Rosita's attempt on his life. The hint of fear within his rage at the shooting was something we have desperately needed to have in the character, but something that has been conspicuously missing. A cocky villain is all well and good, but we need to know why people follow him. It's clear that fear is one of the major motivating factors, but outside of witnessing his violence, we haven't seen what makes people scared of him. That rage he showed toward Rosita was a hint of what makes this man terrifying. We need to see more of that and less of the smirking jerk who pontificates. The Negan problem wouldn't be as glaring if we hadn't spent the better part of the past eight episodes dealing with him as the main character in the series, either in the flesh or by word of mouth. And that is because the front half of the season consisted of so much filler that it stifled any potential story arc that might emerge. We spent a delightful hour with Carol and Morgan in The Kingdom, and then didn't seen them again until six episodes later- and then, only to have both characters continue to endorse their pacifist lifestyle (and further undo all the amazing work the show did in crafting Carol's series arc). Rick has moped around for seven episodes before having a pretty amazing revelation that it's time to stop whining and do something upon the deaths of two minor characters no one really cares about (although, kudos to Ann Mahoney for giving some life to Olivia, an otherwise thankless role). But mostly, nothing of substance has happened for seven weeks, and suddenly everyone decides it's time to start getting the different settlements together to fight Negan? Why couldn't we have this come about three weeks ago, when the show was slogging through the same plot points for the fifth time this year? Oh yeah, that's right, because nothing of substance happens on this show unless it's a finale of sorts. 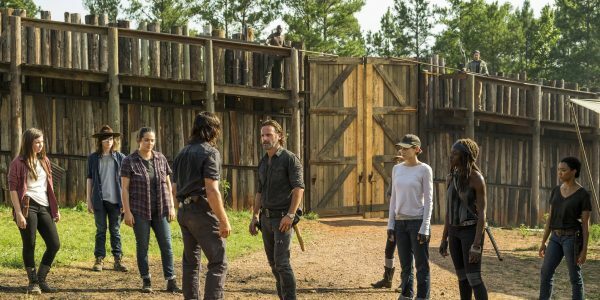 Wasting entire episodes is not acceptable, and yet The Walking Dead seems to do it with ease. It's trying, and there's a reason the show's ratings are in a steep decline this season: the quality isn't there anymore. And that brings me to my biggest issue with the first half of the season: Rick. [caption id="attachment_91567" align="aligncenter" width="600"] Norman Reedus as Daryl Dixon, Alanna Masterson as Tara Chambler, Chandler Riggs as Carl Grimes, Andrew Lincoln as Rick Grimes - The Walking Dead Photo Credit: Gene Page/AMC[/caption] I took the show to task in the premiere for spending the hour focusing on Rick's pain and guilt over the deaths of Abraham and Glenn, rather than spending time showing us how the major characters in their lives were feeling (namely, Eugene, Rosita, Sasha, and Maggie). And, as it was made clear in the finale, the show never really cared about anyone's reaction to the threat of Negan other than Rick's. I can't imagine anyone watching this show honestly believes Rick is the best option to lead this group. He spent seven episodes doing absolutely everything possible to appease Negan. He was so broken and hellbent on selling out Alexandria that he didn't even take a moment to think his rebellious son might joyride off to Negan's compound. He didn't see that his girlfriend (who should absolutely be leading the group at this point) was planning on figuring out a way to stop Negan, no matter what the cost. And he had no idea that most of his own people were chomping at the bit to get a plan to take back control. Rick was the last person to get his act together. And that's just plain ridiculous. 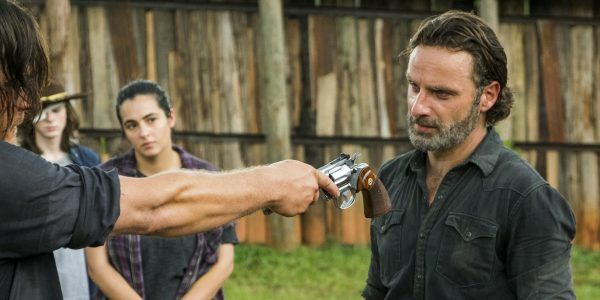 Did Rick lose people he cared about in the premiere? Sure. But some of his people lost EVERYONE they cared about in the premiere. Look at Maggie. She lost Glenn. She's lost her entire family at this point. But she didn't spent weeks moping around. She took a deep breath and moved forward. Sasha has lost everyone she has cared about. But she didn't sit in her room and cower. She has made a difference in The Hilltop and has taken on the role as Maggie's lieutenant with gusto. Rosita still has Eugene, but she didn't take Abraham's death lying down. She tried to kill Negan (although, man, I thought she was a better shot than that). About damn time someone tried to kill Negan. But this show is apparently only about Rick and his feelings, so we all had to wait seven episodes for Rick to decide it was time to move on Negan and his people. And that is the thing that annoyed me the most about "Hearts Still Beating" and this season as a whole. This is an ensemble cast. It really is. Yes, Rick is the male lead, but there are so many interesting characters on the game board at this point that the show could kill him off and be just fine (in fact, it might actually free the series to make more interesting choices with story). I can't believe Michonne rallying Alexandria to head to The Hilltop and tell Maggie they need to band together and fight wouldn't have amounted to the same result as Rick leading the charge. I'm tired of only seeing things through Rick's eyes and waiting for Rick to make a decision before the rest of the characters can act. It's lazy on the part of the writers, and it allows for swaths of episodes to pass without anything of substance occurring because the show needs to take care to build Rick's psyche back up after every failure of the character. It's time to cut the cord and let some other worthy characters take the lead. [caption id="attachment_91569" align="aligncenter" width="600"] Katelyn Nacon as Enid, Chandler Riggs as Carl Grimes, Alanna Masterson as Tara Chambler, Norman Reedus as Daryl Dixon, Andrew Lincoln as Rick Grimes, Lauren Cohan as Maggie Greene, Christian Serratos as Rosita Espinosa, Danai Gurira as Michonne, Sonequa Martin-Green as Sasha Williams - The Walking Dead Photo Credit: Gene Page/AMC[/caption] Final Thoughts: -- Considering that we've had several longer than normal episodes, it was particularly egregious that the show attempted to shoehorn so many plotlines into a single episode. Why couldn't they have thrown Daryl's escape into last week, instead of showing how gosh darn easy it turned out to be to waltz out of the compound in this bloated episode? And Michonne's journey was another one that could have taken place in a different week. -- The the walker lake was a nice bit of work on all fronts this episode. On the opposite end of the spectrum, those individual character close-ups at the episode's close made me laugh out loud. Almost as cheap and silly as the fake blood spatter of last season. -- While I don't think going to Carol and Morgan to beg them to talk to Ezekiel about attacking Negan was the best course of action, I've officially reached the breaking point with those two refusing to engage. I'm fine if Carol wants to live on her own and not deal with people. I get it. But she can't invite Morgan over to chat when he drops of supplies she claims not to want (but will happily take). I assume this is just the lead-up to Carol getting her murder on again (and Morgan being forced to choose to kill or be killed), but it was so heavy handed and not worth the deviation to see them. Carol and Morgan were once two of the best characters on the show (and remain two of the best actors). The writers need to reverse course here ASAP.